This is the last issue of 2018 and it marks the closing of our first year with Hyperrealism Magazine. We take this opportunity to thank all of you who supported and still continue to support us in this incredible year, we want to thank all the amazing artists who have been featured in these five issues and we’re so happy that many of them had reached impressive accomplishments thanks to our work, and, above all, we want to thank our readership, gallerists, artists, amateurs and enthusiast fans. Thank you and happy new year to all of you, we wish that 2019 could bring you all the best for your lives. See you in March for a fantastic 6th issue! In this 5th number of HM, we’ve been so lucky to make one of our most beautiful and interesting interview talking with Anna Halldin-Maule in our “Tea With…”: your minds will be blown away by the delicate beauty of her female portraits. We had also the chance to talk with those who represent her works, the gallery owners of the Tangent Contemporary Art and Scott Richards Contemporary. There are interviews with outstanding talented artists, such as Alexandra Averbach with her beautiful and delicate flowers, José Manuel Cajal, who told us about his color blindness and his uncommon process for painting his incredible cityscapes, and Paola Boni, who presents her amazing paintings inspired by the comics world. We also described: the works of Jeff Bartels, who impressed us with his “Alternative Artifacts” in which he paints verisimilar objects fruits of his own imagination; Harold Zabady and his photorealistic cityscapes are so inspiring for us; the exceptional path of Carina Francioso till her seascapes, the Art Renewal Center Award and her forthcoming exhibition at the Arcadia Contemporary Gallery in February; and the last painting by Paul Corfield, that, with his Pseudorealism, is a strong example of how you can paint hyperrealistic art in a new original way. Other wonderful featured contents of this issue are: an article about Amy Laskin, who made us dream with her beautiful Jamaican landscapes, connecting her somehow with Magical Realism, and Chris Klein, who fascinated us with his costume artworks that made us remind of Renaissance masters. Other featured artists that we’ll know better on the next issues are David Wheeler, with his amazing wide-angle cityscapes; Alex Devereux, who captures the beauty of rural American objects and landscapes in the evening light; Dominique Houard and her fantastic hyperrealistic trompe-l’oeils; Tammy Liu Haller, with her soft and beautiful pencil artworks; Danguole Serstinskaja, who depicts animals in an incredible and emotional way, and Fernando Ferreiro, with his detailed pencil portraits. And last but not the least, we discover the art of Ginny Page, an exceptional talent who illustrates fragility and beauty of human beings, and Jon Grim, a street artist who has reached hyperrealism and gives strong social messages through his paintings. We’ll also have an amazing anticipation of Bernarducci Gallery 2019 upcoming exhibitions! 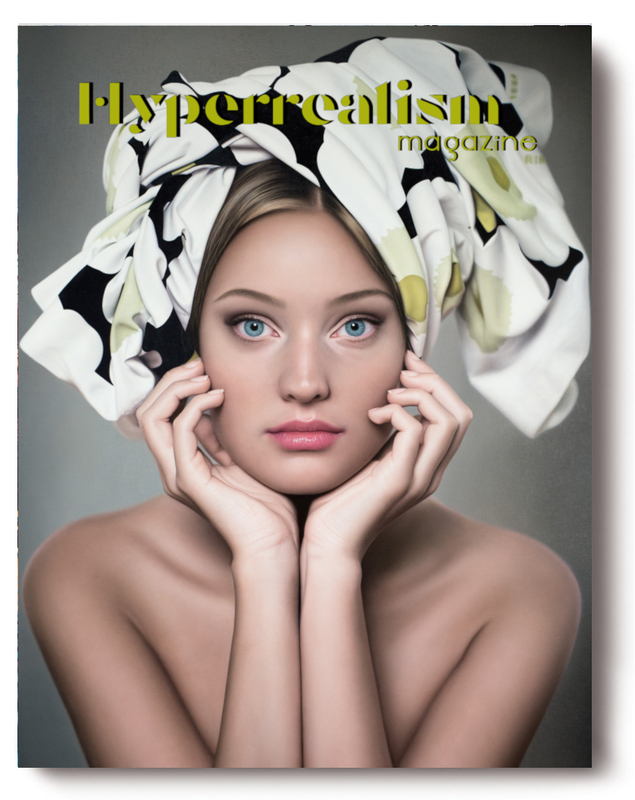 All this and many other exclusive contents in this outstanding issue no.5 of Hyperrealism Magazine! Featured artists: Jeff Bartels, Alexandra Averbach, David Wheeler, Alex Devereux, Harold Zabady, Carina Francioso, Dominique Houard, Tammy Liu-Haller, José Manuel Cajal, Amy Laskin, Ginny Page, Danguolė Šerstinskaja, Paola Boni, Chris Klein, Fernando Ferreiro, Jon Grim, Paul Corfield. Digital and print version will be officially out on December 14.